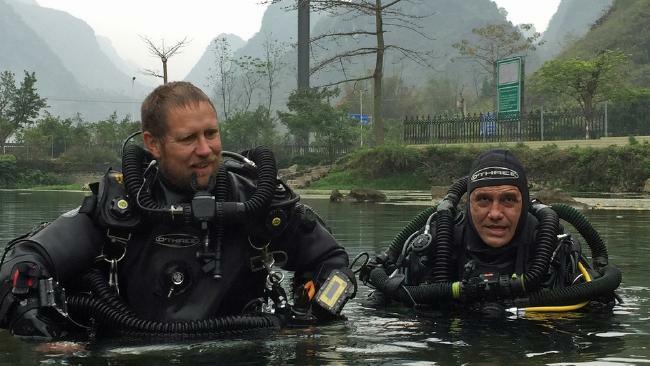 LEGENDARY Australian doctor and hero diver Richard Harris has penned a touching and emotional account of how their Thai cave rescue mission became a reality. Dr "Harry" Harris shared a touching Facebook post as he returned home after the miracle operation that involved experts from 13 countries across the world. 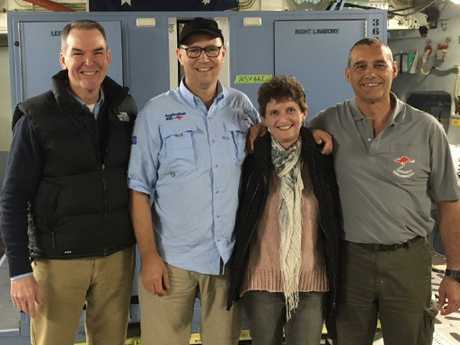 Sitting at the back of an RAAF C17 aircraft with Australian authorities, Dr Harris wrote of his musings with Perth-based Craig Challen, his right-hand man in the risky operation that saw the 12 cave-trapped boys and their soccer coach freed. "I feel like it is the first opportunity to really stop and reflect on the extraordinary events of the past 8 days since Craig and I were deployed as a small AUSMAT team to the rescue in Chiang Rai in Northern Thailand," Dr Harris wrote. He explained local, and British divers who Dr Harris described as "the awesome foursome", had already laid terrific groundwork to ensure the success of the gruelling mission. "They had already been doing the most extraordinary dives through the cave and laying the very robust rope which made all subsequent dives to the soccer team not only possible, but safe," he wrote. "The efforts and skill of these guys in blazing this trail cannot be underestimated. "The 4 Brits then did further supply dives to the soccer players, the coach and the four Thai Navy Seals which allowed them to prepare and sustain themselves for the rescue ultimately." Dr Harris praised Thailand's efforts during the rescue mission, and the huge assistance provided by the international community. "(They provided) everything from catering, communications, media and of course the huge teams of workers filling the cave with tonnes and tonnes of equipment to try and lower the water and sustain the diving operations," he wrote on Facebook. "I have never seen anything like it with man battling to control the natural forces of the monsoon waters." He said the Facebook post was a way of thanking all the people involved. "I wanted to write this to try and give credit to all the people who were in some way involved. Craig and I have had a spotlight on our efforts and we want to make everyone realise that while we might have become the face of this rescue for some reason, everyone should know that the role we played was no more or less important than all the many hundreds (perhaps thousands) of people I have mentioned," Dr Harris wrote. 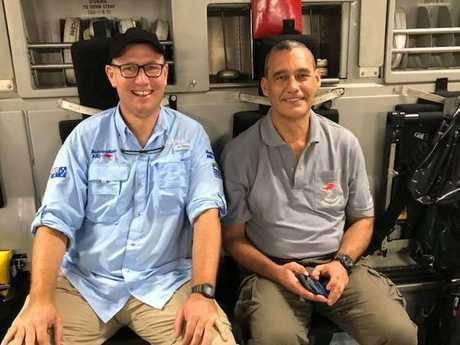 Dr Harris and Mr Challen touched down with twenty Australians involved in the dangerous Tham Luang cave rescue. The team flew home on a RAAF jet. With them are six Australian Federal Police cave divers, one Defence diver and a support crew who have been described as integral to the rescue operation. The Australian Defence Force flew the entire crew home on RAAF jet which left Thailand on Friday. Their return came as parents of the 12 boys, all members of the Wild Boar soccer team, made it clear they had no blame for the boys' junior coach, Ekkapon "Ake" Chantawongse. The boys are understood to have entered the cave as a part of a team ritual, where younger boys would carve their names on to the wall. They expected to be in the cave for only an hour when high water was suddenly upon them. Icarn Viboonroongruang, the mother of 11-year-old Chanin Wibulrungreung, the youngest in the group, said her son told her through a glass window at Chiang Rai hospital that the first three nights were among the hardest. "He was very hungry with such great pain in his stomach that he cried and drank water dripping along cave fissures," she said. "Night was very cold but the coach hugged him, teaching everyone meditation to prevent excessive breathing and to not feel hungry." 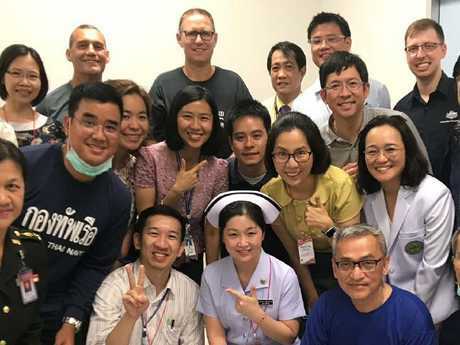 Dr Richard Harris and Craig Challen with hospital staff in Thailand. Picture: Supplied. 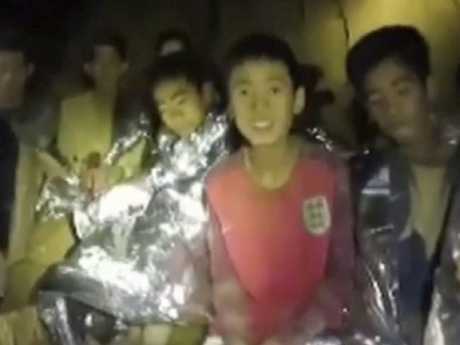 The father of 14-year-old Ekkarat Wongsukchan said the coach dived into the water to see their circumstances once they became trapped, and drew arrows on the cave wall so no one became lost. The coach also dug them into the muddy wall to keep warm and sleep. One parent said the boys were actually on higher ground than the small ledge where they were located, but came down when they saw someone coming. 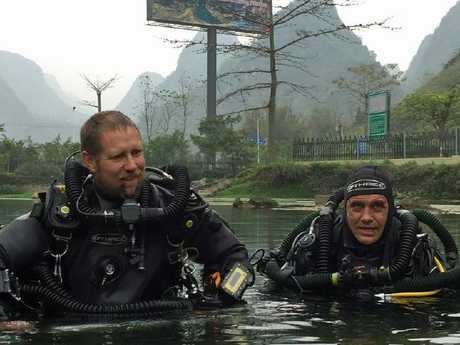 That was British cave diver John Volanthen, who found the boys nine days after they went missing. He spoke briefly as he departed Chiang Rai airport, refusing to accept credit. "We are not heroes," he said. "What we do is very calculating, very calm. It's quite the opposite. We're just very happy that the boys are out and safe. "We were very relieved that they were all alive but I think at that point we realised the enormity of the situation and that's perhaps why it took a while to get them all out." Thousands of people have called for Dr Harris and Mr Challen to be given the Cross of Valour, the nation's highest civilian bravery award. The last time it was given out was in 2003, when Senior Constable Timothy Britten entered a bombed Bali nightclub to rescue a badly injured woman, and then continued to search for survivors. 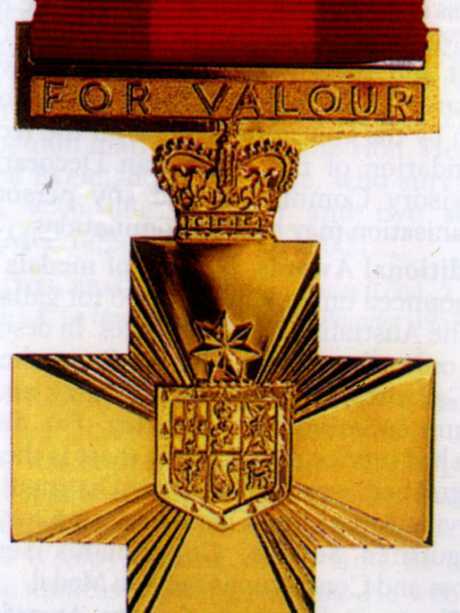 The Cross of Valour has only been awarded to five Australians since it was established in 1975. Foreign Affairs Minister Julie Bishop has signalled the government is considering how to formally recognise the Australian team. The Cross of Valour (CV) medal. Dr Harris and Dr Challen spoke out about the gruelling rescue mission for the first time on Thursday, sending a message of thanks for the support they had received. "The favourable outcome that has been achieved is almost beyond our imagination when we first became involved in this operation," they said. 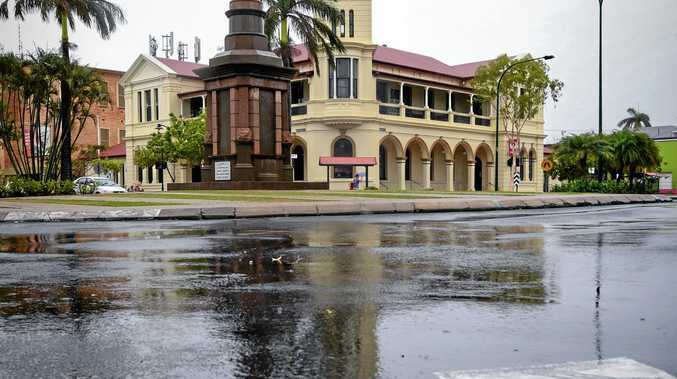 They also acknowledged the "vast number" of military and civilian participants who helped in the operation, along with their Australian colleagues. Dr Harris is home to be with his family after his 88-year-old father tragically died just hours after the successful completion of the rescue. Members of the Thai Navy SEALs team arrived home to their base at Sattahip, feted by the Thai people but saddened by the loss of their colleague.